In this Episode, I share my best sales techniques so you can effectively handle your prospects sales objections and get them excited about your products, service or business. Want to sign up more teammates and customers into your Network Marketing business? One of the best ways of handling objections in network marketing is by using 3rd party stories. Sharing 3rd party stories is one of the best sales techniques and knowing how to properly share them is the most important thing to learn how to do in your business! 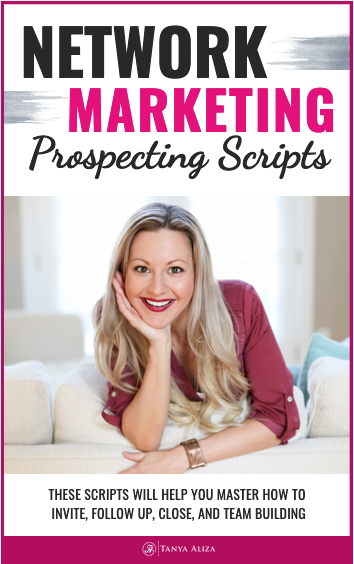 In this episode of Tanya Aliza TV, I’m going to share with you why 3rd party stories are so POWERFUL and how to share them so that your prospects are at the edge of their seat excited to buy or join you in your business. This week, since we’re talking about handling objections in network marketing with 3rd party stories I’m giving you My 3rd Party Power Story Template & Worksheet. This template and worksheet will help you articulate your 3rd Party Stories so well that every time you talk to a prospect you’re confident, powerful and your prospect can get excited about what your products, business or services can do for them. You can download it right away by clicking on the yellow button above. 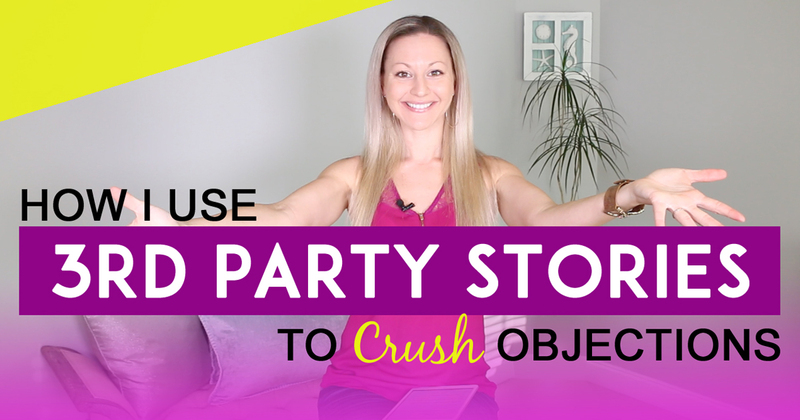 I’ve been successfully running my online business for the past 9 years and I can tell you that without a doubt…one of the best ways to handle objections or questions is by sharing 3rd party stories. 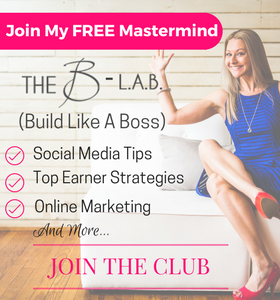 Hands down…this has helped me crush it in my network marketing business and become a top earner. Whenever I’m overcoming objections with a prospect, I handle it with a 3rd party story. This is so powerful and works so well that I did an entire Episode on handling objections in network marketing by creating and properly sharing your story so that your prospects listen up and get interested in what you have to say. Don’t worry…you don’t need to have your own story. That can take some time. The beauty of it is that it doesn’t need to be yours…it can be someone else’s success story in your team or in your company. That’s exactly why sharing 3rd party stories is so powerful! But before I share with you the 4 important elements to include when sharing a 3rd party story I recommend that you prepare a story bank. A story bank is a collection of other peoples success stories. This could be teammates or people in your company. This way when your speaking with prospects you’ll have a story to share that they can relate to. It will make it that much more powerful! Share their name, where they live & their profession. If they’re a parent you want to include that as well. What happened in their life that had them looking for something else. The more specific you get the better! Sales Techniques – What if you personally don’t know them? If you don’t personally know the people in your company that have a success story reach out to them via Facebook messenger. Just reach out and say, “Hey listen, I really love your story and I want to dive in a little bit more and share your story with some prospects that I’m talking to. Can you help me share your story by answering these 4 questions for me? You can also read up on their story through the company if they’ve featured them in your company’s blog or monthly magazine. Another powerful way to share a 3rd party story is to interview them on a Facebook Live. 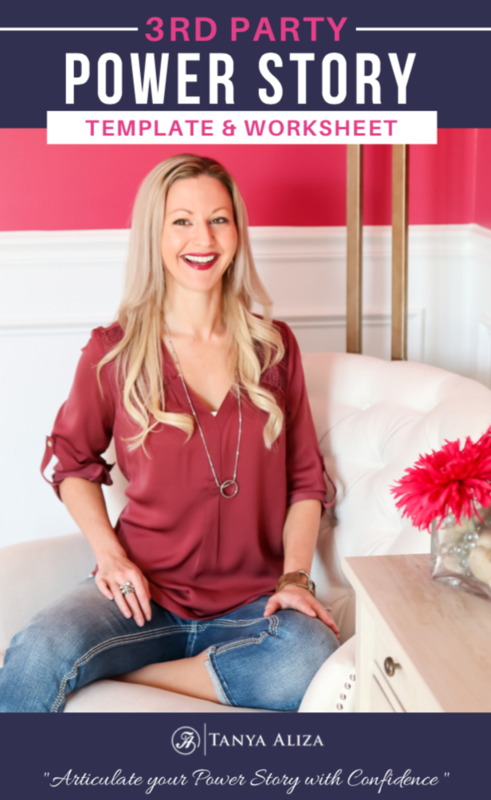 I recently interviewed 2 ladies that are just crushing it in their business and I can now use the interview to send prospects to it wherever I feel they’re story will help them. If you want to see how I interviewed these ladies and hear the questions I asked them I’ll leave a link below in the show notes section so you can go watch it. I definitely suggest you do this as it’s very powerful. Another really great way to extract these stories is by going to your company events. Company events are put together very strategically and they will have lots f success stories coming on the stage and sharing all the details of their stories. So make sure you add those as well to your story bank. Use a 3rd party story to answer any questions or objections that you get from your prospect, answer it with a 3 rd party story. And to help you articulate those 3rd party stories I’m giving you My 3rd Party Power Story Template & Worksheet. You can download it for free by clicking on the yellow button below. Check out me interviewing a success story on a Facebook Live broadcast. I suggest you do these interviews. It’s incredible leverage to use as a team tool to plug people into. This book was co-authored by my good friend and Lady Boss, Jessica Higdon. I not only love cause I’m in it (wink wink), but because it showcases many success stories from everyday people that have created amazing results in Network Marketing. I have multiple copies of this book on hand to share with my prospects as an amazing recruiting tool. I suggest you order a few copies too! Did you get some value from these sales techniques? 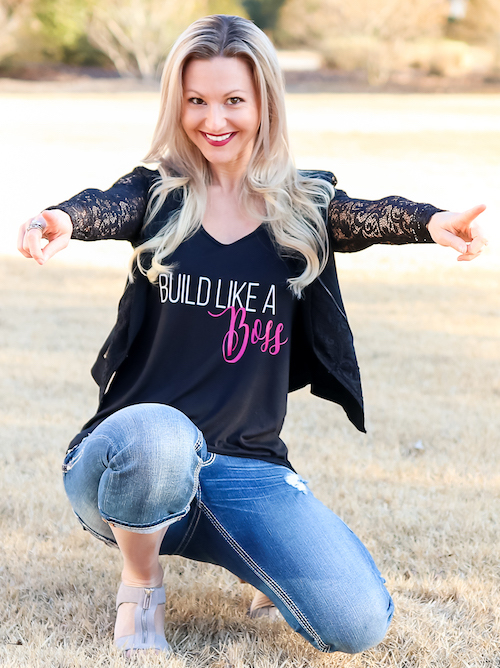 I hope you did because each week I put my heart into making sure you get some sales techniques and strategies to rock it in your business while creating a life you love. Question of the week: Care to practice sharing a 3rd party story? Drop it in the comments below. I’d love to see you practice!